“Treat Yourself” is a catchphrase you might hear often. It’s one that for the longest time I thought didn’t apply to me because we didn’t have any discretionary income. There was barely enough money to pay the bills, let alone any extras. For the longest time I didn’t treat myself at all, and when I did I was sick with guilt. The truth is, you deserve to treat yourself whether or not you have extra money at the end of the month. Even if you can’t pay all your bills, you still deserve to treat yourself. It’s just HOW you “treat” yourself that matters. A lot of people think they have to splurge on themselves because they deserve it, but wind up digging themselves deeper in a financial hole. Friends, I am here to tell you it doesn’t have to be that way! Treating yourself doesn’t have to cost much money, or any money at all. 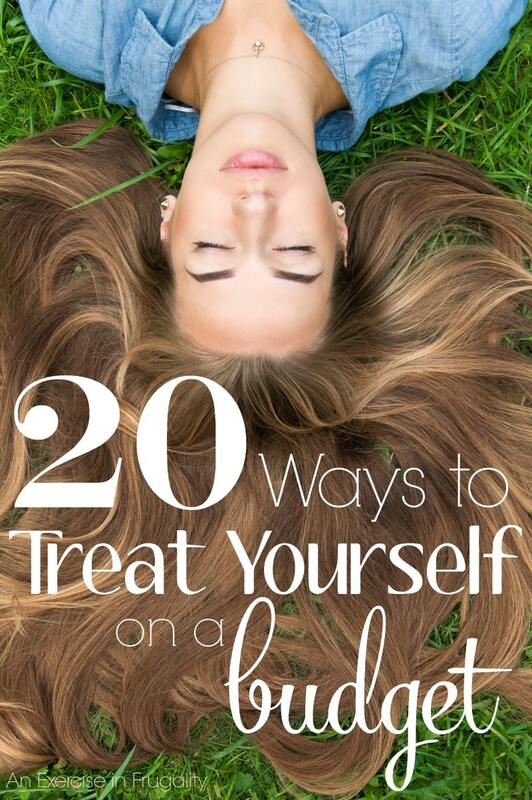 While considering ways to to treat myself, I came up with this list and wanted to share with you 20 ways to treat YOURself! Have an impromptu dance party-blast your favorite tunes and dance like no one is watching. Find something that makes your heart sing and DO IT! Bonus tip: Make a self-care survival kit. Check out the tips in this post for learning more about what I keep in mine. It’s been a total lifesaver! Oh, and while you’re here make sure you check out my 2016 Holiday Gift Guide tab up there in the menu bar! I am adding gift guides for everyone on your list. Be sure to check out the Gift Ideas for Tech Lovers!